The day I went to Torgersen Island the weather was absolutely stunning with not a cloud in the sky and temperatures up in the lower 40s, absolutely perfect for a little trip. Traditionally, the new recruits and some of the veterans get the first boat over to Torgersen Island. 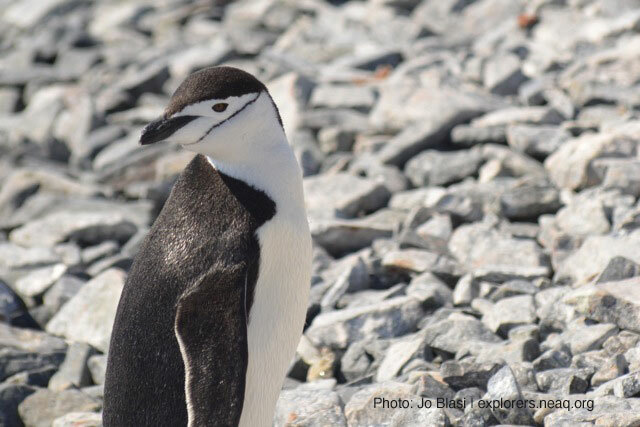 Adélie penguins are one of the few species that are true Antarctic species spending their lives here. Most other penguin species are subtropical species living in more temperate areas, like those we have at the New England Aquarium. 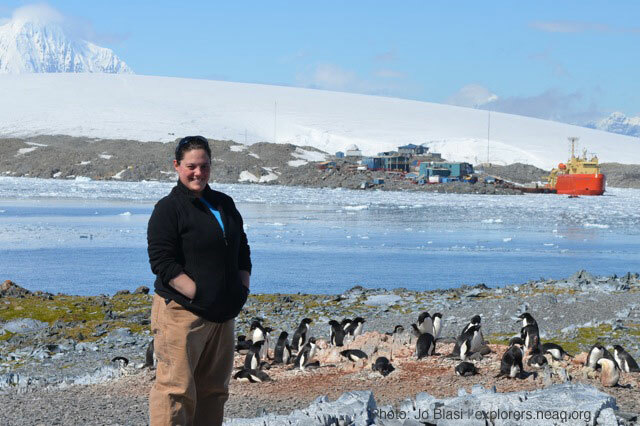 Torgersen Island and some of the other small islands around Palmer Station, are breeding areas and many Adélie adults were tending to chicks inside nests made out of small pebbles and rocks. 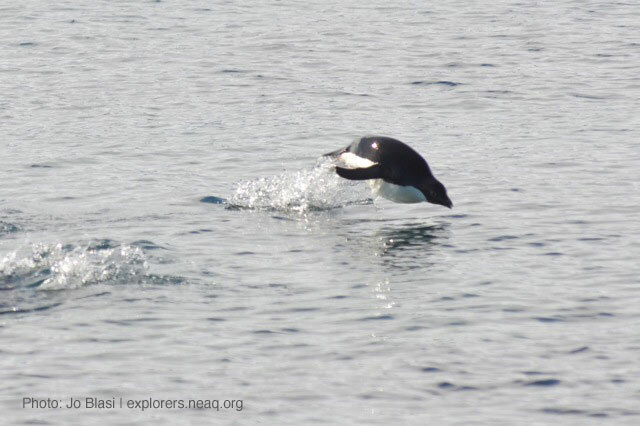 It was amazing to see these animals in the wild although it is important to remember that the LTER scientists are here to study these and other seabird species in the area. 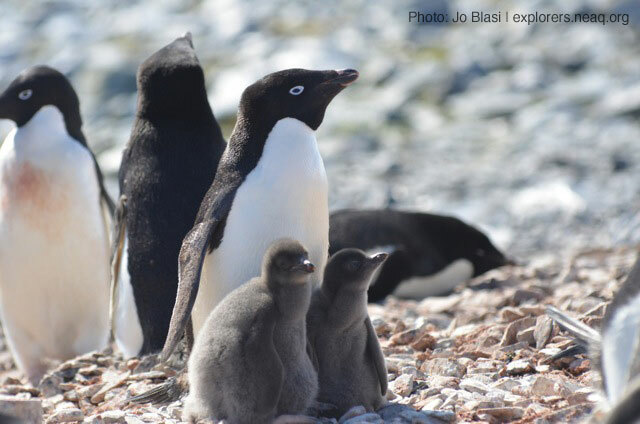 As temperatures along the Western Antarctic Peninsula increase, sea ice decreases and it makes it more difficult for Adélies to breed since they are ice dependent. 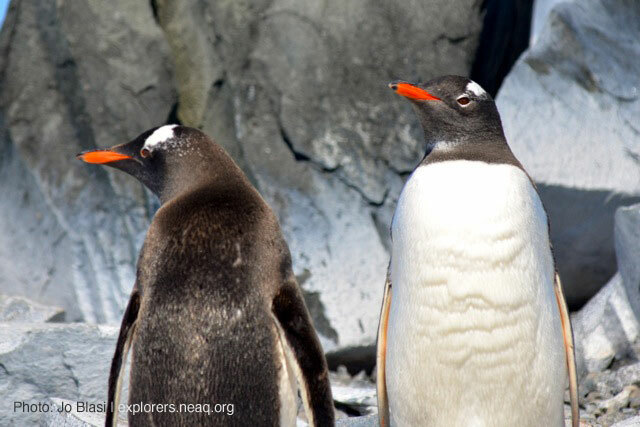 The gentoo penguins are extending their habitat range southward due to the shifts in climate, and that increases the competition for space and food for the Adélie. Scientists are also examining the changes in krill populations in these areas too. 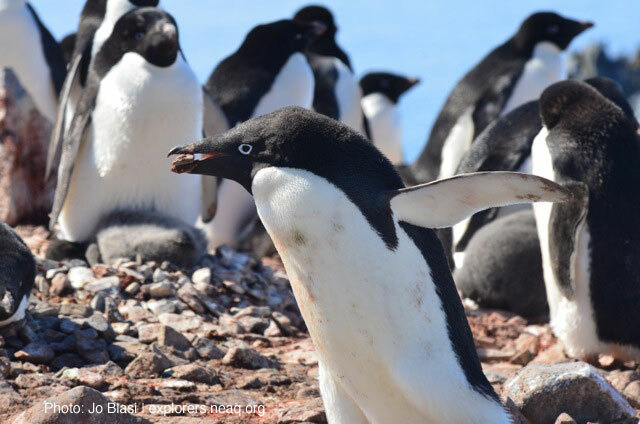 Krill is a major food source for many animals here, including penguins, and if the slightest changes occur due to warming or ocean acidification, the rest of the food web will certainly be impacted. My trip to Torgersen Island was a huge success. I was able to sit and watch these amazing birds go about their daily routine of swimming, feeding chicks, fighting over rocks, climbing up the cliffs to their nesting areas. I’m glad that I got to see this in person. I can only hope these animals will be around for a long time so we all can continue to enjoy and learn about them. 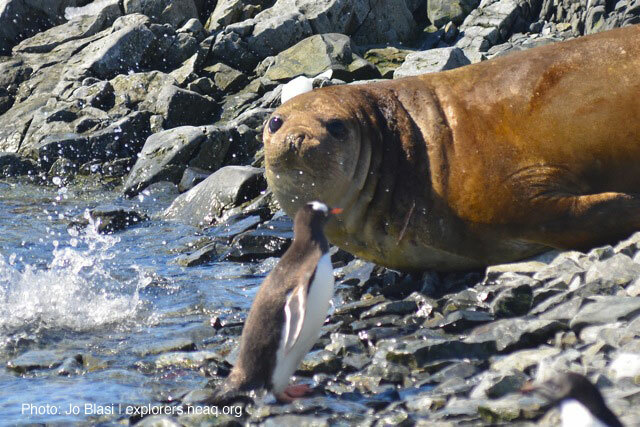 Staring contest between a gentoo penguin and elephant seal. The seal won. This isn't Jo's first encounter with penguins. She rescued endangered African penguins in South Africa in 2011. 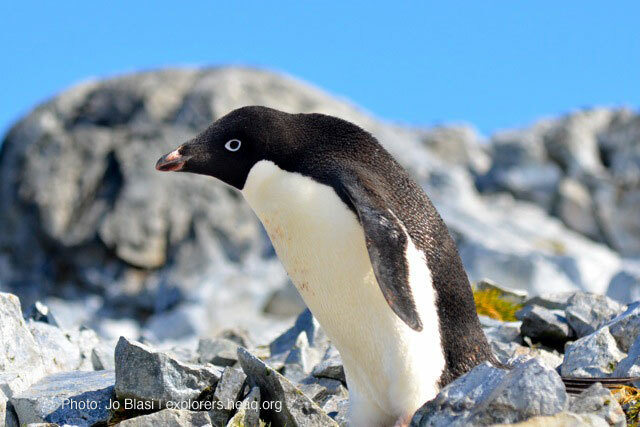 If you still can't get enough penguins, check out Brian Skerry's penguin images from his trip to Antarctica in 2010.